Leaving the Adventurer Guild, we ate lunch at a fancy restaurant. I couldn’t taste the meal that well from the mental strain, but it was probably more delicious than our inn’s food. I definitely want to bring Kinue-san here and have her steal the flavor. However, I was tired after the meal so I took a nap in a park. The sightseeing can wait till later… Well, Rokuko and Haku-san both left to buy evening party dresses, so I’m just sleeping during the meanwhile. Why didn’t they buy it at the clothing shop from earlier? It’s a different kind of store. That one was a clothes shop for daily-type outfits, different from the tailor-made evening party dresses. It’s like the difference between buying casual wear and a suit. Rather, that bunny suit is casual? … Well, it seems that I slept for around five hours, but Haku-san and Rokuko returned about the same time I woke up. It was evening. By the way, Meat stood guard the whole time I was sleeping on the bench. I said to do whatever, but are you sure you wanted to do that? I probably should’ve given her a silver coin for pocket money to use how she wanted along with that though. And then it was night. Finally time for the underground colosseum. People would enjoy watching monsters and gladiators fight in the arena. There were various rules and regulations, but the most popular was, as expected, the [Anything Goes Deathmatch]. Once we’d temporarily returned to the villa, we rode on a carriage towards the underground arena. Taking the chance, Haku-san had returned to her usual adult form. However, she wore a white mask that hid her eyes. It was a plain one-colored mask, but there were three blue jewels under the left eye that looked like shooting stars. How tasteful. Hold up, an appearance that hides your social position? And you didn’t even talk about Meat at all. Well, neither Meat nor I have one to hide though. Rokuko’s had two gems, but mine and Meat’s didn’t even have a single one. It feels like it was definitely intentional, like something that shows off your status even while going incognito. So it meant that after all? Dangerous. The carriage went into a tunnel, continuing underground. Just when I thought that, the field of view suddenly opened up a bit and I saw a splendid colosseum. 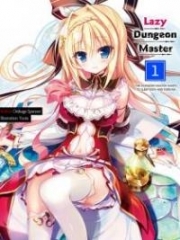 dungeon could make it all in one go. I’m also building it in a dungeon. When we entered the colosseum being guided forward together with Haku-san, there were seats reserved for n.o.bles with a great view. The chairs were only for Haku-san and Rokuko, but well, this is good enough. The arena grounds was entirely a dirt field. It looks like the current fight going on is between monsters, a huge boar named [Big Boar] that walks on four jumbo legs and a bipedal human-type cow called a [Minotaur]. They’re fighting showily. The minotaur stopped the big boar’s rush by grabbing onto its fangs. It was a masterpiece when, even while it was leaving grooves in the ground by the force of the charge, it threw the beast sideways using its muscular strength. The commentary said something good. I’m not Ichika, but I’m getting hungry from it. Ah, come to think of it, I haven’t eaten dinner huh. Bangs resounded each time the two monsters collided, causing the air to tremble. Eventually, the minotaur, which had managed to tip over the big boar, took a mounted position over it and bashed it on its soft underside, letting out a roar. Being able to summon a monster that follows your every command from the start would indeed make her look like a top-class tamer. It looks like the presenter was having a bit of trouble there, is there something off about the next one? My question was solved immediately. Ooh, Misha-san huh? When I took a look at Haku-san, she was smiling. … Yup, this is definitely a punishment. Undulating, the slime’s body looks around twice Misha’s size. The slime lurked along into the arena like a sea anemone, its tentacles billowing as it was being introduced. The scream of an A-Rank adventurer echoed through the colosseum. Furthermore, Haku-san put her hands over Rokuko’s eyes from behind. Misha had to endure something a bit awful in the arena. For now, I closed Meat’s eyes as well. Ah, it was amazing how her body got knocked down by the tentacles on the first move. Like playing with a child.